At 2, third in leg Pennsylvania Sires S. at The Meadows, elim. Breeders Crown at Woodbine, Arden Downs S., Reynolds Mem. 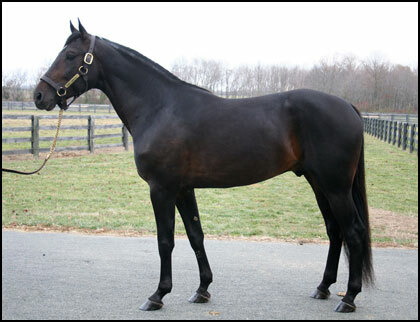 At 3, winner Final Matron S., 2 legs Pennsylvania Sires S. at The Meadows, Pocono, Keystone Classic; second in Burlington P., leg Pennsylvania Sires S. at The Meadows; third in elim. Little Brown Jug, elim. Matron S., elim. Progress P. at Dover, elim. Breeders Crown at Meadowlands. At 4, winner leg Spring Pacing Ser. at Woodbine, leg Aquarius Ser. ; second in Final Aquarius Ser. ; third in leg and Final Four Leaf Clover Ser., Final Spring Pacing Ser. at Woodbine, leg Aquarius Ser. At 5, second in leg Presidential Ser. ; third in Final Presidential Ser.